There will always be the gullible and the foolish willing to believe any old nonsense. What's worrying is the way sections of the media, politicians and the internet seem obsessed with panicking us into distraction. We're more than halfway through 2012 and at the risk of tempting fate I'm beginning to think the ancient Mayans might not have been as clued up as we've been led to believe. The world has yet to end and I'm willing to bet that it won't. Of course this isn't the first time this has happened. Doomsday predictions have been around for all of human history. Just last year the American pastor Harold Camping predicted that the world would end in May (and when he got that wrong, October). I was in Philadelphia at the time and I genuinely saw people walking around carrying 'the end is nigh' type signs. The next day I saw many of the same figures standing in the street looking slightly confused. These threats to our wellbeing take many different forms. Technology often plays a prominent role. In the run up to the year 2000, the newspapers were full of stories about how the so-called Millennium Bug, also known as the Y2K problem, was about to bring the world to its knees. Governments collectively spent over a $100 billion dollars solving a fault that later turned out to have been grossly overstated. Those who argue that nothing happened because we spent all this money ignore the fact that countries that hardly bothered suffered few ill-effects either. However some people made a lot of money out of it; just look on Amazon at the number of 'How to survive the Millennium Bug' books published to exploit this fear. Since then we've been told mobile phones give us brain tumours (not yet proven), and that the Cern Hadron Collider would create a black hole and turn the world inside out when it was switched on. If it has I must have missed it. The other form panics can take is illness and disease. At one point we were all going to die of BSE; then it was Sars, then bird flu, and most recently swine flu. Now people did die of these diseases and I'm not making light of that, but in Britain at least regular everyday flu has killed more people than the others combined, and we're not panicking about that. 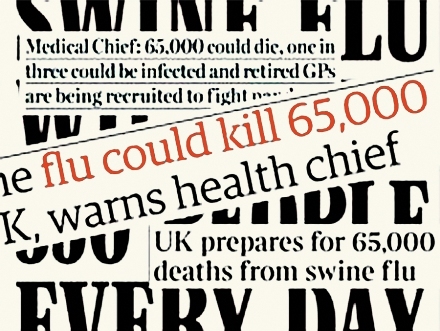 Headlines like "pig flu might kill 94,000 Londoners" don't help. Most of these stories were working from scientists best and worst case guesses when they printed 'facts' like these. Of course they tended to heavily emphasis the worst case scenarios. Might is obviously the key word here. Anything 'might' happen, 94,000 people might die, but equally David Cameron might give up being prime minister to become a Franciscan monk. Some newspapers seem to make a habit of reporting things that might happen regardless of the likelihood. The one thing that all of these panics seem to have in common is that by and large they were driven by the media, politicians and the public via the internet while scientists urged caution. To take the Millennium Bug as an example, dozens of reports by scientists, engineers and think tanks were published in the run up to the year 2000 casting doubt as to the seriousness of the problem, that were often ignored or downplayed. That said, there are obviously examples of panics started by scientists, such as MMR and the 'population bomb' from the 1970s. Both subsequently turned out to be horribly wrong, but in both cases the vast majority of the scientific community were highly sceptical. Generally the reason they became so widespread is that parts of the media gave them more weight than perhaps they deserved. Why do the media do this? It's simply the case that bad news sells. No-one ever bought a newspaper which had the headline: 'Hey, things are basically OK'. This isn't the papers' fault though - it's ours. Generally we're more interested in bad things happening to people than good and we buy our news stories accordingly. 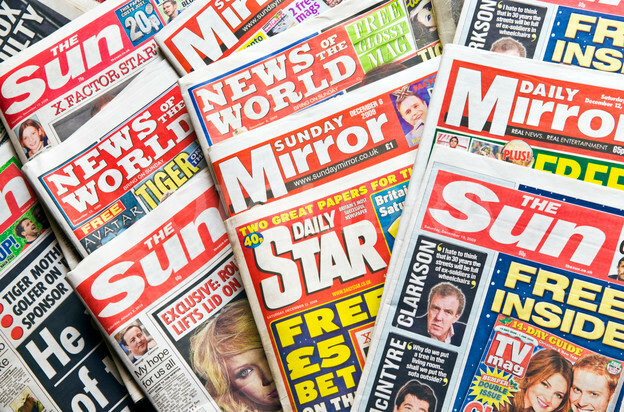 If we didn't want to buy bad news, media sources would sell less of it. This brings us the question of climate change. This seems to be a perverse reversal of the usual way panics work. Normally it's a case of a few scientists or individuals raising a red flag and the public and media over-reacting. In this case it's the vast majority of scientists raising the flag and the media downplaying it. Recently we've seen some shift in this debate thanks to the record number of hot summers we've had over the last decade, with many now admitting that climate change may be happening, but not necessarily that mankind is responsible. My point here relates to the fable of Chicken Licken, the foolish farmyard fowl who believed the sky was falling because an acorn fell and hit him on the head. After stirring up a lot of other animals into a panic they all ended up eaten by an opportunistic fox. The moral of the story is obvious but is often misapplied. If someone who has a long history of predicting doom and getting it wrong tells me the sky is falling I'll ignore them. If a group of wise men and women tell me something, I still might not necessarily believe them, but I'll at least look out of the window (secondly I'll check if they have a financial interest in me looking out of the window). Those who argue that scientists 'don't know everything' ignore the fact that a) scientists never claimed they did and b) they do know some things reached by careful testing and analysis. At the end of the day it's us, the public, who need to be careful about who we take our bad news from. No-one with half a brain believes the ancient Mayan prediction and I'd suggest equal scepticism should be applied to a lot of other sources. Of course those are for you to pick and choose. 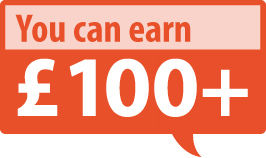 *Dr Matthew Ashton is a politics lecturer at Nottingham Trent University.